There is a place between the beauty of nature and the comfort of home where the two meet and blend as one. It’s a place that offers tranquility like no other. 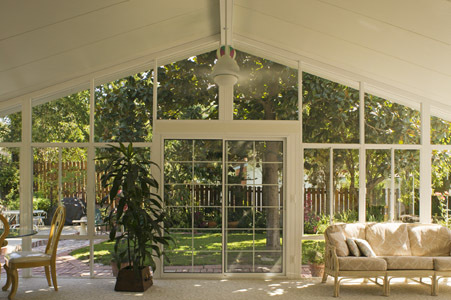 And it’s brought to you by Texas Home and Commercial, Inc. Our sun rooms provide unsurpassed comfort and quality ensuring years and years of relaxation without the worry of constant maintenance and rising utility costs. We start out with a 3 ” or 4″ insulated wall system designed specifically for year round comfort and protection against the sweltering summer heat of central Texas. We then install our thermally broken aircraft grade aluminum frame system to ensure no heat or cold transfers through the framing. We then install our award winning high performance windows. 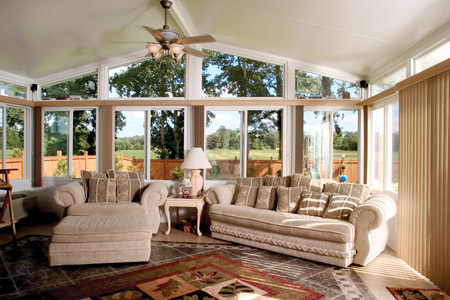 Most other companies skimp on the most important item a sun room should have…maximum energy efficient windows. Since sun rooms are mostly glass it makes sense to install only the most energy efficient window and glass products available. 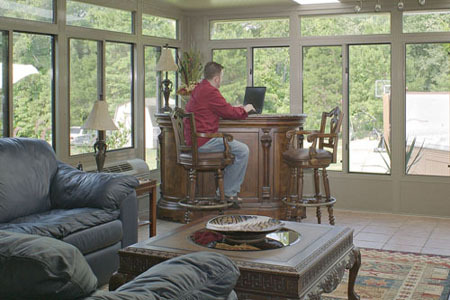 No other company in central Texas offers the quality of windows and glass products that we do. 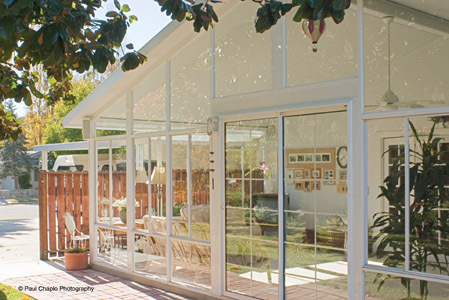 When August rolls around you’ll be sipping your lemonade in your cool and comfortable sun room and be glad Texas Home and Commercial built it for you. Our rooms offer total weather resistance. No cracking, warping or splitting. No need for painting or staining. No wood rot. Unsurpassed durability that will preserve its beauty for years to come. We’ll design it to your taste. No kits like the big box stores. If you can dream it… we can build it. 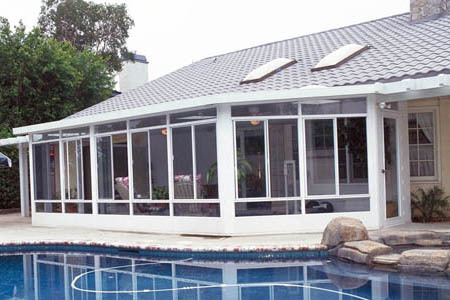 Let our team help you design and build your perfect sun or screen room!